Of all the reptiles that can be found in an average neighborhood, turtles are probably the easiest to catch. 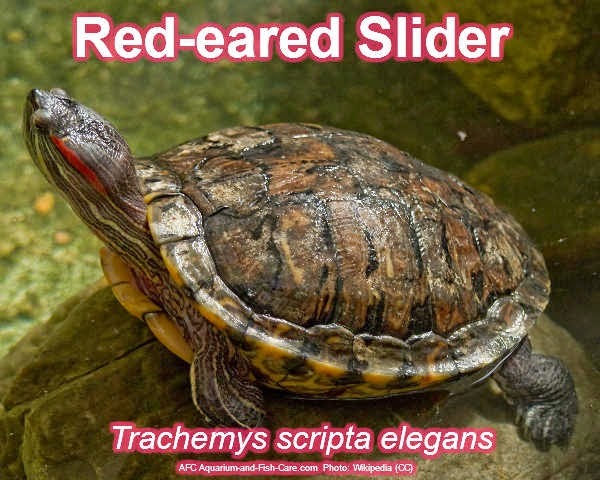 Let's take a tour of a turtle and see what we can learn from it. One of the most interesting parts of the turtle is the most obvious, its shell. The back of a turtle shell is formed from bones that have fused together into a hard structure. On top of the bone layer are large scales that cover and protect the surface of the bone, and give the turtle its distinctive color. Some sea turtles have shells with bones that are separated, and the leatherback turtle has no scales at all, just leathery skin with little bony plates distributed in its skin. The shells of land turtles are typically quite high and round, in order to discourage predators from attempting to crush the shells in their mouths. Water turtles generally have much flatter shells, in order to allow for faster swimming. The bottom of the shell, called the plastron, is also fused bone, but it is covered with a different kind of scale, in order for the turtle to move easily over its territory. 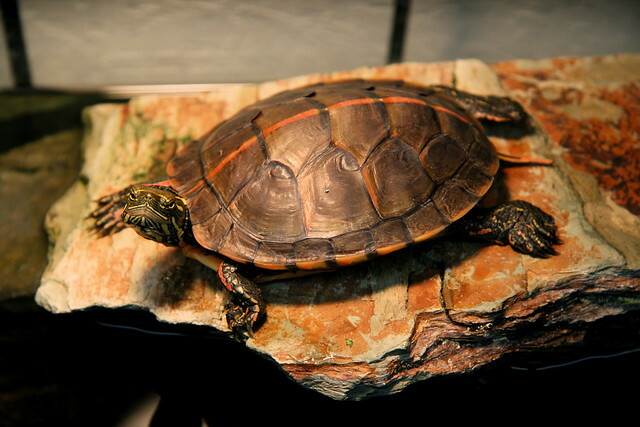 A few turtles, such as the American box turtle, have hinges on the bottom of its shell. The box shell turtle can withdraw into the shell and then close the hinges, so that no predator can reach any of the turtle within. These hinges also protect against moisture loss on particularly dry days. Like many other reptiles, turtles lay their eggs on land. Baby turtles generally grow rapidly until they reach young adulthood, and then the rate of growth slows. Large turtles often keep growing at a slow rate for their entire life. The shells of most turtles grow to at least five inches in diameter, and the monster of the turtle family is the Leatherback, which can have a shell six feet long and weigh up to fifteen hundred pounds. One of the larger common American turtles is the Alligator snapping turtle, which can have a shell of over two feet in length and weigh up to two hundred pounds. It is easier to tell the age of turtles than most other reptiles because the plates on their back often have growth rings, similar to trees. Each time a turtle stops growing it creates a depression in each scale, and so these can be counted to determine the age of the turtle. A number of turtles have lived for more than one hundred years, and turtles might be the longest-lived vertebrates, up to two hundred years old. Some American families carved their names and dates into box turtle shells, and these markers indicate that even local turtles can live to be more than one hundred years old. Next time you see a turtle, check it out carefully. Watch how slowly it walks (generally at about one third of a mile an hour), and look carefully at the markings on its shell. Turn it over to see the underside of the shell, and how the two connect. See if you can see any markings on the shell to count how old it is. Check out other interesting facts and behaviors about the turtles in your area at your local library or bookstore.